We Work for you to save your Money!!!!! It’s nice of you to take some time to get to know About us:-. Stuff2india.in is a website that updates useful and of course Lowest Deals, free deals, offers, coupons, free samples in india & other products. 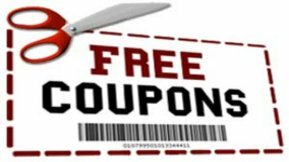 The aim of stuff2indi.in is to share information with you about latest freebies, free stuff, cool and hot offers, software giveaways and all kinds of tips that you have never heard also you can save money in India with us by finding cheapest & lowest offers !!! We Updates lowest & cheapest discounted offers, free sample , freebies, new deals and day today deals of the big websites like flipkart, Homeshop18, Jabong, Myntra, Shopclues, Yebhi, Ebay, Tradus and many more. Now we have 10,000 facebook fans and increasingly day by day with your support. Also we design and develop websites and are passionate about good design & User Friendly Website. If you have any Query you can Contact us. And it’s all thanks to you!